Like new dress has not been altered. Sitting in a bag in the closet for years. The beads still have the plastic covering them. This dress fits beautifully with its lace up back and slims any figure. Purchased at $1169 before tax and can provide original sales slip to prove. 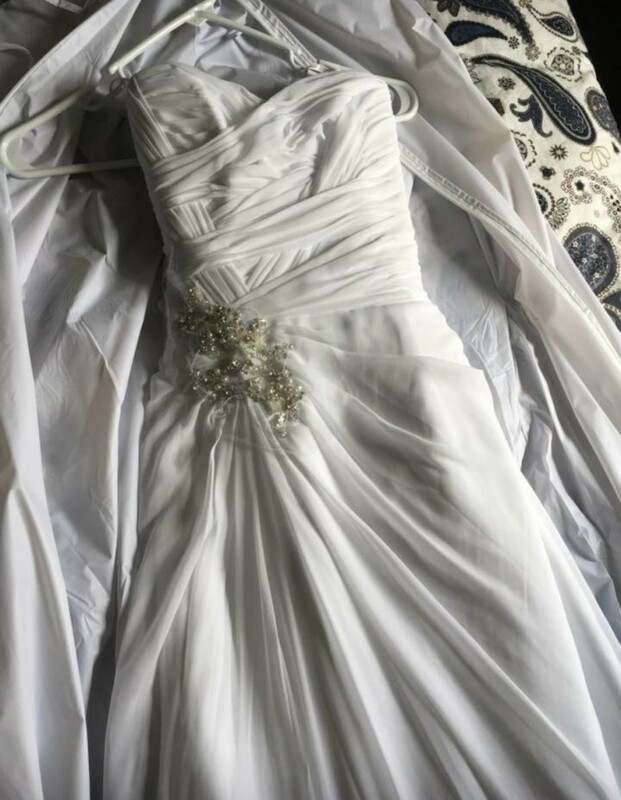 This dress is looking for it’s bride. Once you send a message, Charity can invite you to purchase the dress.